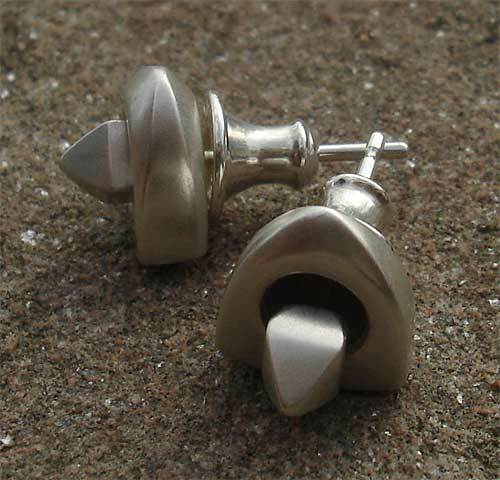 Pyramid Silver Stud Earrings : LOVE2HAVE in the UK! 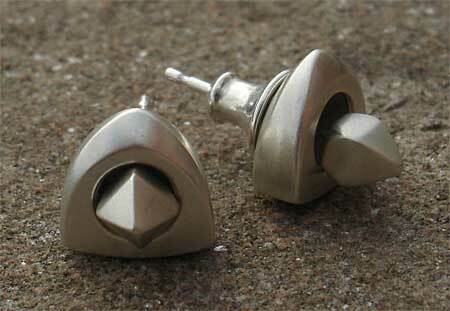 A set of silver stud earrings that each come in the shape of a pyramid. The silver finish, being a luscious, silky matt, subtly reflects the light and therefore avoids the tacky feel of cheap over polished silver. and the designs feature elegant smoothed detailing throughout. They both also feature triangular styled pendants upon which the earrings studs are threaded into, and again the silver has a lovely satin look.